Singaraja was Bali’s capital city during colonial times. 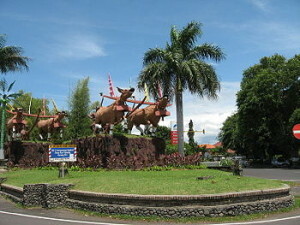 It is Bali’s second largest city, home to many of the islands universities. History buffs will enjoy the Buleleng museum. Singaraja is the best place for shopping with a Hardys and Carrefour supermarket. It also has a large traditional market.